The term 'consciousness' comes with a lot of historical baggage with varied senses and references over centuries. In the contemporary philosophy of mind literature however, it denotes phenomenality or what it is like it experience. 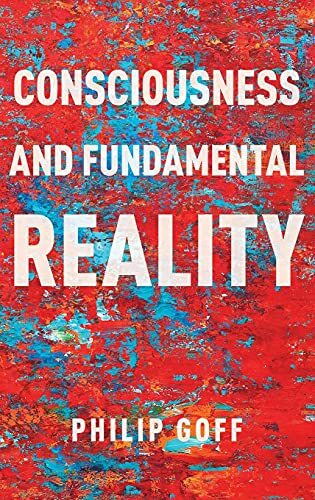 In this book, Philip Goff argues that the physicalist understanding of reality cannot account for phenomenal experience. He explores Russellian Monism as an alternative to physicalism and proposes that at least one variety of it—cosmopsychism—captures phenomenality. In the first part of the book, "Against Physicalism" comprising four chapters, Goff begins by explaining physicalism. This is the idea that physical facts are based on the "mathematico-nomic vocabulary of physics." (p.30) Physicalism is simply a metaphysical theory which bases itself on whatever physics tells it. Goff claims that this physicalist view of reality does not capture the datum of conscious experience. The physicalist explanation pictures a greyscale view of reality, while it is our phenomenal consciousness which adds a million colours to it. He goes on to present the two famous arguments against physicalism: The Knowledge Argument—there is an epistemic gap between knowing all the physical facts about a conscious experience and actually having that experience; and The Conceivability Argument—if philosophical zombies, that is, creatures without phenomenal consciousness are conceivable, then they are metaphysically possible. Therefore, consciousness is non-physical. Goff offers another argument against physicalism, which is based on "revelation" or "transparency". According to this, "phenomenal concepts reveal the complete nature of the conscious states they refer to." (p.124) For example, the phenomenal concept of pain reveals its complete nature. However, it does not reveal if pain were c-fibres firing—the standard physicalist explanation. Thus, physicalism does not capture the complete nature of conscious states. In the second part of the book, "Russellian Monism: An Alternative" comprising five chapters, Goff argues that Russellian monism is an elegant solution to the conundrum of consciousness. It draws from the independent proposals made by Bertrand Russell [Bertrand Russell, The Analysis of Matter, (1927)] and Arthur Eddington [Arthur Eddington, The Nature of the Physical World, (1928)]: physics only tells us the dispositional characteristics of particles, say electrons, but not their nature or essence. Russellian monists think that the deep nature of reality, which science fails to capture, explains consciousness. While physicalism holds that consciousness is either identical or grounded on physical facts, dualism holds that consciousness is not grounded in anything. By claiming that consciousness is explained by the deep nature of physical reality, Russellian monism thus offers an attractive alternative as a middle-way between physicalism and dualism. Russellian monism can be broadly divided into two forms: panpsychism and panprotopsychism. The former is the view that the fundamental constituents of physical reality instantiate consciousness. On the other hand, the latter takes the same constituents to have protophenomenal properties which are "not themselves phenomenal properties but that are crucial ingredients in facts that explainconsciousness." (p.144) Never mind the supposed virtues of Russellian monism as an alternative over physicalism and dualism, it nonetheless has its own problems. The most famous of these is the combination problem—how do the micro constituents having proto-consciousness or consciousness (depending on the variety of the theory), combine to give macro-consciousness? In other words, how do the micro-subjects combine to give the subjectivity you and I experience? Another problem Goff discusses is that of "subject irreducibility"—a conscious subject cannot be analysed into some constituting facts. As he puts it, "there are no deflationary analyses of subjecthood" (his emphasis). Let me briefly share a few concerns I have. First, the kind of physicalism as Goff defines it, is extremely boxed in its stipulation. It is not a thesis that most physicalists would likely agree to. Moreover, it is also something which most physicists would have major disagreements about. Second, the phenomenal transparency argument is problematic. Phenomenal concepts (of pain and others) are not transparent. Take for instance our phenomenal concept of experiencing the different sounds on closing the ears. Does it reveal their nature that they are caused by the circulating blood and the thumping heart? Did it reveal to us before it was discovered that blood actually circulated? No. Moreover, if Russellian monism is correct, then the same argument would apply to it as the deep nature of phenomenal experience is not revealed. Third, cosmopsychism comes close to the ideas of Advaita Vedanta and Buddhism. It would be salutary to bring them into the discussion given that these may actually offer some new insights—just as for a work on knowledge, the debates in Plato and other ancient Greeks are useful. Lastly, I think the book might fail in converting philosophers to Russellian monism. This is partly due to the way things are in academia currently. Much like contemporary politics, the camps of physicalism and non-physicalists remain steadfast without any reconciliation. The "Metaphysical Manifesto" in the book does not seem to inspire the crowds to take down the physicalist elite—and I say this as someone sympathetic to Goff's cause. That said, I do recommend the book for anyone who wants to gain from an expert overview of the debate. The book's bibliography of over eight pages testifies the author's mastery on the matter (mind?). And I see this book as becoming the primary resource for future works on consciousness, which in itself is an incredible feat to achieve. Bhavya Sharma, PhD student at the State University of New York at Buffalo.